The EPIC End to the Wolfpack trilogy? Hangover III is a bit Dark in some spots! 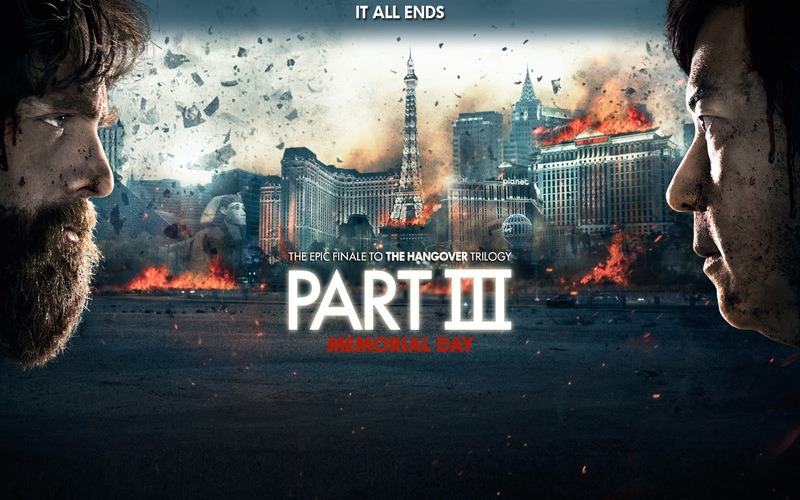 The premise of Part III of the Hangover series puts the Wolfpack in search once again for Doug after he has is taken from them by Marshall (John Goodman) whose feud with Mr. Chow has escalated as a result of the events of the first two films. 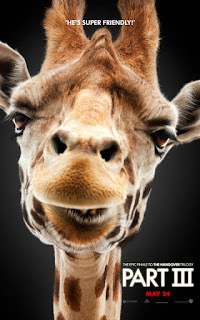 For some odd reason the Hangover Part III tries to be so different from it's predecessors that it almost removes itself from the comedy genre completely. 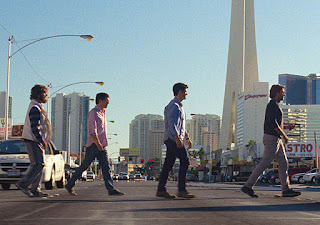 If anything, you can classify the Hangover Part III as a thoughtless bro drama that puts Stu, Phil, Allen, and Doug in hyper unrealistic situations,during which they occasionally spout a one liner. The Wolfpack can finally walk off into the Vegas Sunset! It would be easy to see how the Hangover Part III would not work for some people, but if you have love for the Wolfpack by this film, I believe it works well as the successful end of a trilogy. Director Todd Phillips gave the audience just what they begged for, something different. Like it or not I applaud Phillips for taking that risk with these already established characters, and doing something different even if it is a bit dark!